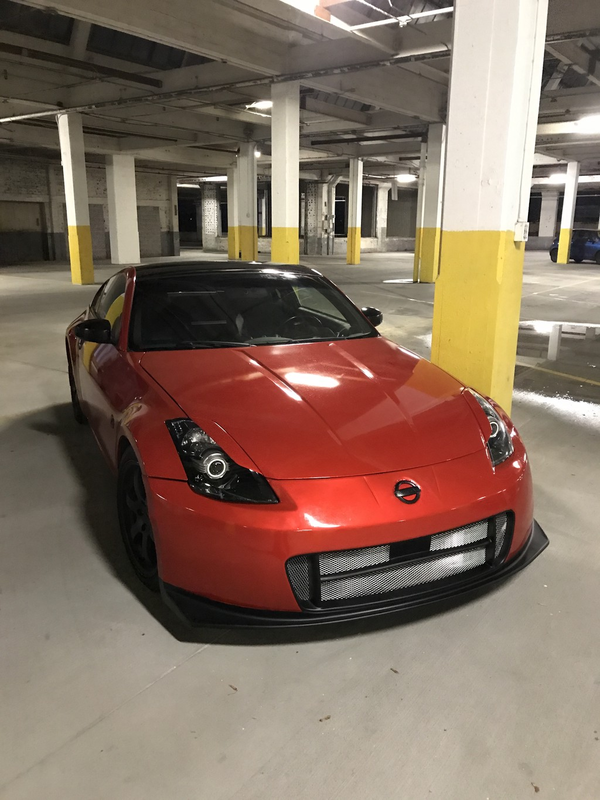 Never vinyl wrapped anything and decided to wrap my Z with the 3m dragon fire red with black roof. I can post more photos but this is one I snapped today. Hardest part had to be the rear wing... I had to two piece it and might eventually redo it when it warms up. A good tool I had was the "knifeless tape". Made things like going around door handles and creating a straight line on the bumpers easy. While I was wrapping it I also decided to mod the headlights as well thanks to the thread on headlight mods located on this forum. Last edited by Alex Tappin; 11-20-2017 at 07:08 PM. What brand and color is that? 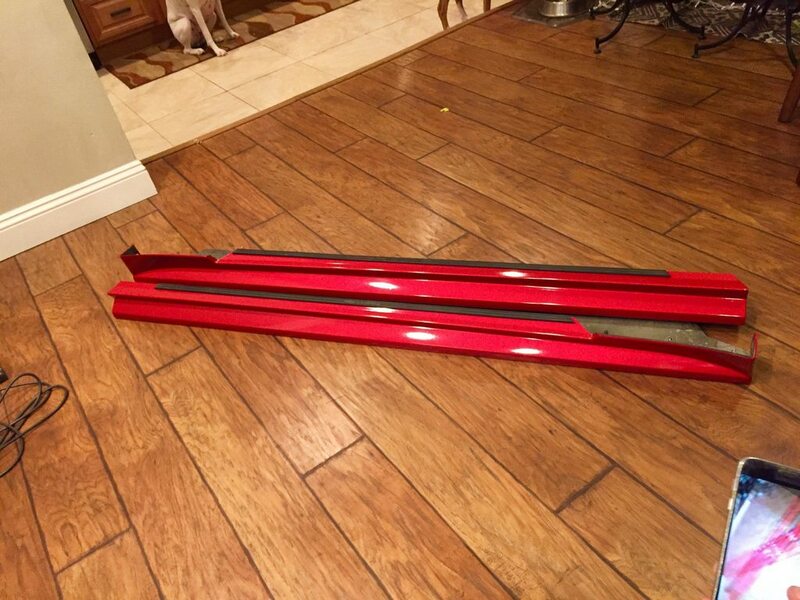 3m 1080 dragon fire red. And the roof is 3m 1080 gloss black. that trunk looks like a b1tch. Do you rem how many pieces you had to break it into? Its 5 pieces. This picture should help explain how its broken down. 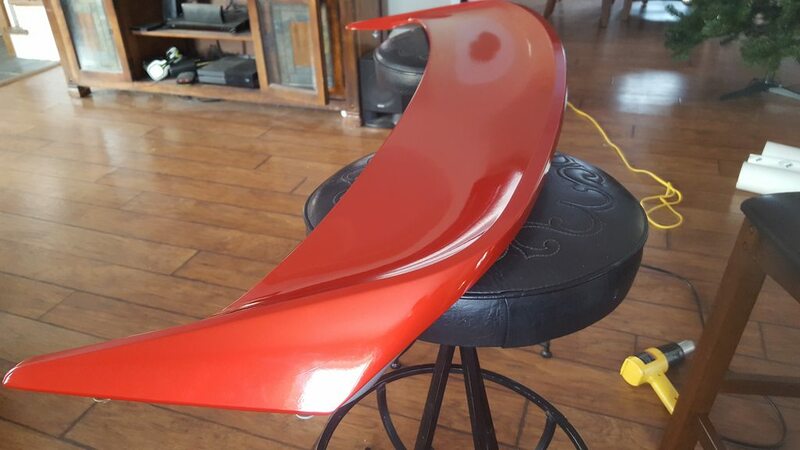 I originally did it in 3 pieces, I had #3,4,5 all done as one piece but the vinyl didnt tuck under panel 2 as far as I wanted it to. The average person would not have been able to see it but I was not pleased. 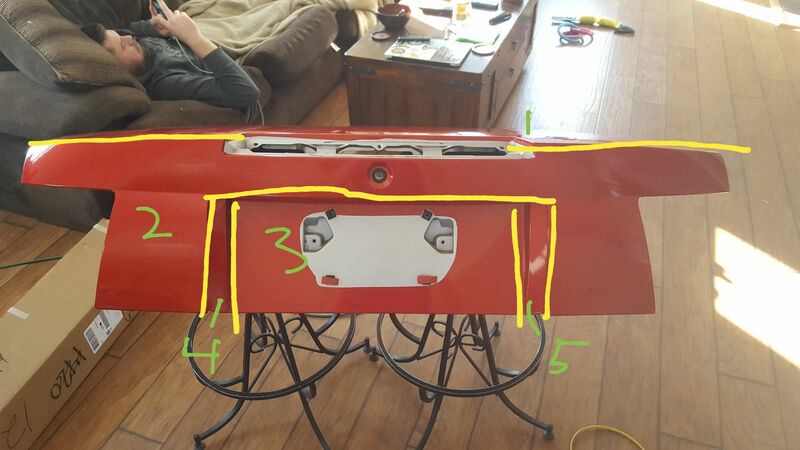 So I trimmed on the body line and then added #4 and #5. I actually had to pull the backing paper and slide the vinyl under panel 2 in order to tuck the vinyl in there far enough. good job! Thanks for breaking it down. Ive only ever done gloss so its nothing to be too scared of. You going with a bright color or dark? Dark seems to show more stretches. And doing it by yourself isn't the end of the world, again Ive never had another had in doing my stuff so its not that bad. 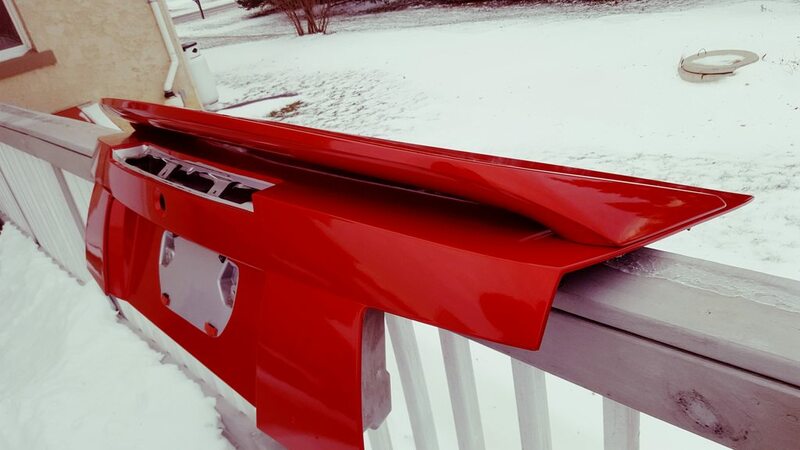 Hardest part was cutting a 10' long piece for the front bumper. going with 3m's Fiery Orange.......I had a hell of a time with my G coupe's rear end. I'll prob pm you when the time comes as I'm sure I'll have some questions. Have anyone tried to put transparent protective vinyl on top of their colored vinyl wrap? For example 3M Scotchgard. Must be nice to have some extra protection, it can also be polished/buffed. Im sure you could but I dont think its common. Id say a better choice would be to ceramic coat the vinyl. I have seen some good results from that. 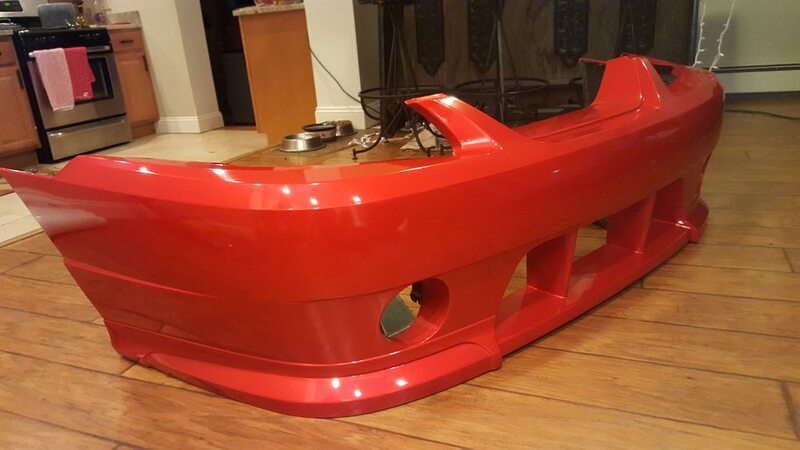 Hey guys im trying to somewhat match my new bumper to the car..my paintcode is AX6 red..
any suggestions on a close color from Avery wrap? Go to fellers.com, search color change vinyl, order some sample pieces to see which matches best to AX6. Be sure to check the match in sunlight. I have, works great at giving gloss vinyl an extra added shine and depth, especially on gloss black. I will also use it on matte or satin metallic to turn it gloss. Quick Reply: Official vinyl wrapping thread.